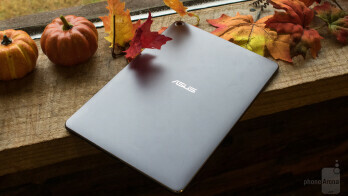 Android 6.0 is the star of the show when it comes to software, but in typical Asus fashion, stock Android has been replaced for Asus’s own custom user interface. The best way to summarize Asus’s custom UI is with this statement – it looks and feels like pre-Galaxy S6 Samsung. Icons for Asus’s apps are bright and childish, any presence of Material Design has been thrown out the window, and it just feels like an Android tablet circa 2013. Asus’s ZenLauncher is pre-installed out of the box, meaning that you’ve got a wide berth of customization options to play around with. ZenLauncher isn’t my cup of tea, but there are plenty of tools and preferences available to play around with (e.g. custom icon packs, home screen grid size, folder appearance, etc.) The launcher is speedy and quick, but from an aesthetics standpoint, it’s a bit unattractive in my opinion. One custom software addition that Asus is touting quite a bit with the ZenPad 3S 10 is something called Game Genie. Game Genie pops up as a little controller icon whenever you launch a game on the tablet, and tapping it will reveal an overlaid pop-up menu for boosting the performance of the game in question, recording your gameplay and streaming it live to YouTube Gaming, a search function for accessing relevant info in-game, and the ability to share any photos or videos you’ve captured while playing. Having built-in software for capturing and streaming your gameplay certainly is a nice addition for those that are interested, but the game booster that’s supposed to increase performance didn’t seem to offer any real benefit in my testing. Game Genie sure is nice for those looking to use the ZenPad 3S 10 as an entertainment device, but what about those who want to get some work done on the tablet? 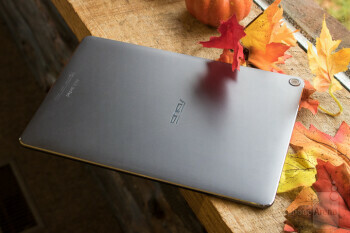 For those people, Asus created the Z Stylus. The Z Stylus should offer similar functionality to what you would find with the Apple Pencil or Samsung’s S Pen, but unfortunately we were unable to test it and so we can't comment on its real-life performance. Whether you want to use your next tablet as a tool for productivity, entertainment, or a little bit of both, one thing is for certain – it needs to be fast. You might think that Asus cut some corners in this department in order to get the ZenPad 3S 10’s price to where it’s at, but if you thought that, you’d be wrong. Inside the 3S 10, Asus packed in a hexa-core Mediatek 8176 processor that’s made up of two 2.1GHz ARM Cortex A72 cores and four 1.7GHz ARM Cortex A53 cores. 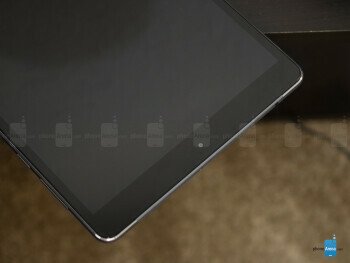 Graphics for the tablet are powered by the PowerVR GX6250, and all of this is backed up by a healthy 4GB of RAM. If that sounds like a lot of techno babble to you, here’s what that translates to – the ZenPad 3S 10 is fast. Let me preface this first by saying that the performance the ZenPad 3S 10 is capable of isn’t going to blow you away or cause your jaw to drop, but what I will say is that I never once found myself wishing the tablet had a little more horsepower packed inside of it. Browsing social media, checking email, streaming HD video, and running multiple apps at once all ran without a hitch on Asus’s tablet. 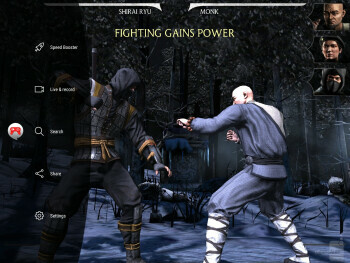 I recently found an unknown addiction to Mortal Combat X, and the ZenPad 3S 10 was able to run the game perfectly. 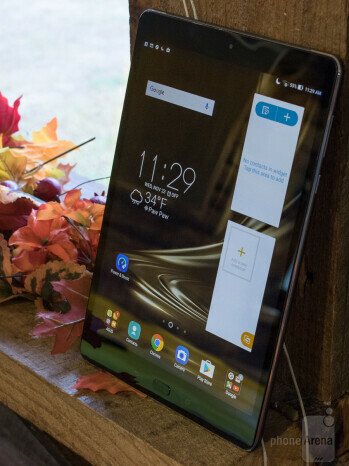 Paying more money for a higher-end tablet will allow you to get faster performance, but for 95-percent of people out there, the ZenPad 3S 10 will more than suffice for what you need to get done. Looking at connectivity options, the ZenPad 3S 10 has just about everything you’d expect from a modern Android tablet – Wi-Fi WLAN 820.11 a/b/g/n/ac, Bluetooth 4.2, Miracast support, GPS, gyroscope, etc. However, I did encounter some rather unpleasant issues with the Wi-Fi performance on the tablet. My connection would frequently drop for a second or two at completely random times, and this proved to be a real pain when trying to download large files for games, movies, or anything else that needs an uninterrupted Internet connection. I tried connecting the 3S 10 to multiple access points to make sure it wasn’t something wrong with my home connection, but the issue persisted. The dropped connections occurred less and less frequently the more I used the tablet, and after a recent software update, the issue seems to be completely gone. To round out the Connectivity section, the ZenPad 3S 10 uses USB Type-C for charging and features storage options of either 32GB or 64GB. If you ever find yourself needing more space, you can take advantage of the 3S 10’s included microSD card slot that allows you to expand your storage up to 128GB. For the camera situation on the ZenPad 3S 10, we’re looking at an 8MP shooter on the back with a 5MP camera up front for all of your selfie needs. Both sensors are capable of recording 1080p Full HD video (more on that in just a bit), but neither have a flash for lighting up darker shooting situations. The included camera app has all of the possible features you could want to play around with, including HDR, time lapse, slow motion video, a depth of field option, and even the ability to scan QR codes without having to download a third-party app. Plenty of manual options are included for taking still images, such as white balance, ISO, and exposure value, and manual video options included white balance and exposure value settings as well. The functionality for the app certainly is there, but its appearance does feel a bit outdated. Now, let’s talk about the actual image quality. 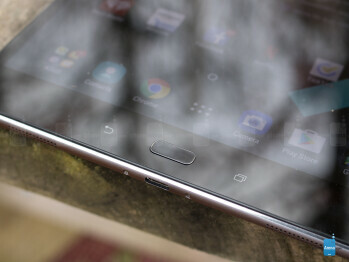 I said it in my review for the ZenPad Z8, and I’ll say it again here – I’ve never understood the whole concept behind using a tablet for taking pictures and recording video. I get that they can come in handy when you’re in a snap to capture a quick picture, and as much as I don’t like taking pictures with a 7 or 8-inch tablet, that distaste is even more prevalent when shooting with a 10-inch device. Personal preference for taking pictures with large tablets aside, the camera sensor on the ZenPad 3S 10 is laughably bad. I had pretty low expectations for the camera going into this review, but I should have set them even lower. Hardly any detail can be found in still images that are taken, as all of my shots came out looking muddy and with an oil-painting effect. Dimming the lights just the slightest bit creates for tremendous amounts of noise to creep into your shots, and the presence of a light or even white sheets causes the exposure to quickly get blown out. While the front-facing camera isn’t nearly as bad, it’s no winner either. Under ample lighting conditions, the results aren’t as terrible as what’s found with the rear-camera, but this isn’t going to win you any selfie awards on Snapchat either. Moving over to video quality, the story is the same. Being able to record 1080p video is a nice addition, but you wouldn’t be able to tell the video is that high of a quality when looking at the end results. Once again, details are soft and muddy, and exposure values aren’t any better here either. If I had to say once positive thing about the video recording capabilities, it’s that the microphones do reproduce nice sounding audio (save for the fact that they’re easily muffled). As one might expect, having a 2K 10-inch display is a real treat for watching movies and playing games. However, in an attempt to make the multimedia experience on the ZenPad 3S 10 even more enjoyable, Asus has included dual five-magnet speakers for a surprisingly great audio experience. The speakers here are powered by an NKP Smart AMP, and when you want to listen to your tunes through a pair of headphones or speakers, the ZenPad 3S 10 can kick out audio files at 24-bit/192kHz to compatible devices. In fact, the ZenPad 3S 10 is the first tablet to ever support DTS Headphone: X 7.1. All of this is powered by Asus’s own SonicMaster 3.0 technology, and thanks to the included AudioWizard app, you can tweak every little aspect for your audio experience. It’s not that often you see such attention put on the audio side of things with a tablet, especially for one of this size and price. 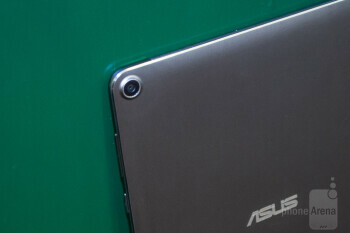 However, that makes Asus’s efforts here that much more valiant and impressive. The ZenPad 3S 10 is a big tablet, and that means it needs a bit battery to keep it juiced up while using it. A 5,900 mAh unit is present in the tablet, and Asus says that it supports Qualcomm’s Quick Charge 3.0. In my use with the ZenPad, battery performance turned out to be rather solid. With infrequent use throughout the day of checking email, browsing social media, and playing Mortal Combat X, I was usually able to get through about 3 full days without having to worry about charging the device. My screen on-time was a little more than 3 hours with the brightness cranked all the way up, but that was also with me gaming quite a bit. Turning the brightness down and more moderate usage should allow you to get anywhere from 4 to 5 hours of screen-on time (if not more). My only real issue with the battery has to do with charge time. 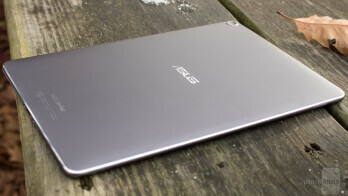 It took the Asus ZenPad 3S 10 3 hours and 23 minutes to charge from 0 – 100-percent, and I found that quite disappointing considering that Quick Charge 3.0 is supposed to be present here. I understand the battery in the 3S 10 is on the larger side of things, but that’s still somewhat slow. Asus is touting a rather large game with the ZenPad 3S 10. 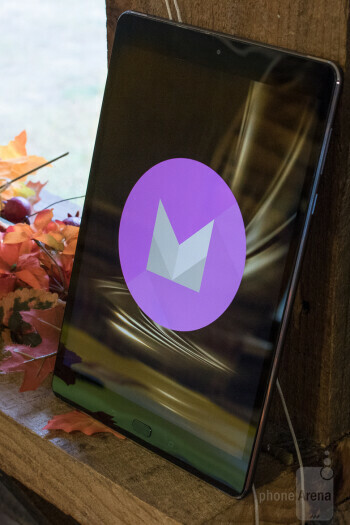 As I mentioned in the intro for this review, the company’s goal is to offer a solid tablet experience for both professional and personal use at an affordable price. That’s not an easy feat to achieve by any means, so did it pay off for Asus with the ZenPad 3S 10? 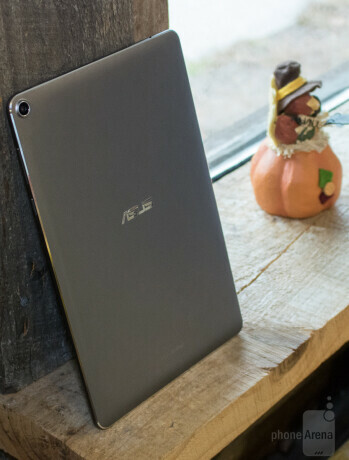 For starters, this tablet feels and looks like it should cost more than what Asus is asking for it. The slim profile is impressive, it’s lighter than much more expensive entries in this area of competition, and the all-aluminum build feels wonderful when held. The build is what initially draws you in with the ZenPad 3S 10, but once you actually start using it, that’s when the magic happens. The 2K display is gorgeous, the processing package provides for more than enough horsepower for productivity and entertainment usage, the speaker setup sounds great, the battery provides for great stamina, and the price of just $299 is absolutely killer. That’s just $50 more than the unlocked price of the ZenPad Z8 that I previously reviewed, and this is a much more premium experience in nearly every regard. My biggest gripe with the ZenPad 3S 10 is its software. I personally don’t enjoy Asus’s custom interface at all, and while most of this can be replaced with a third-party launcher, there are some gimmicky elements thrown into the software experience that you just can’t shake. This won’t be that big of a deal for most people, but for folks like me who live and breathe stock Android, Asus’s changes and tweaks can be atrocious at times. Along with the software, the cameras on the ZenPad 3S 10 are also quite bad. I’m personally not a fan of using a 10-inch tablet to take photos or videos with, but if you are, this could prove to be a real deal-breaker. The front-facing camera is fine for snapping a quick selfie here and there, but the rear-camera is almost unusable for any scenario. 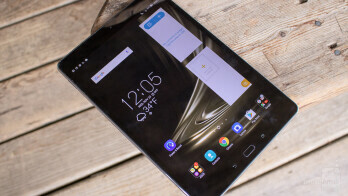 All-in-all, the ZenPad 3S 10 is a phenomenal tablet, and its price of just $299 makes it one of the best values you can currently get if you’re in the market for a 10-inch Android tablet. The software experience may not be the best that’s out there, and the camera package that’s included is better left untouched, but if you don’t plan on taking photos or videos with this device (and you really shouldn’t), the ZenPad 3S 10 should prove to be a fantastic purchase. It’s great for watching videos, playing games, and even getting some work done if you outfit yourself with the proper accessories. The Asus ZenPad 3S 10 isn’t a perfect device, but for $299 and everything it’s bringing to the table, you’d be hard-pressed to do much better.